HOT Off the Presses, a RA for the Container Age! As a technology marketer, I build and come across a lot of marketing collateral. Out of the full spectrum, the ones that get downloaded and shared the most are case studies and reference architectures. The reason is simple, before you sign on to a pretty big technology commitment, you want to feel some assurance that others have done this, and there is a guaranteed “win” at the end. So I was very excited when technologists on our Dell Alliance team published our 1st SUSE CaaS Platform Reference Implementation on Dell EMC infrastructure. To really explain the significance and my excitement, perhaps I need to take a few steps back to explain why it’s that big of a deal – in the form of 3 questions. Question #1: Why CaaS Platform? In 2019, containers is no strange concept to anyone in enterprise IT. It’s even been hailed as the de facto new application development and deployment environment with massive and rapid adoption. Tinkering with a few containers is relatively simple and straightforward. But when you want to get to scale, the next logical step is to adopt a container platform. A container image bundles an application together with everything it needs to run in a cloud or on premise environment. An enterprise-grade container-as-a-service platfrom, like SUSE CaaS Platform, includes orchestration of containers, automation, security, scalability and reliability – all in one, with support for single, hybrid, and multi-cloud architectures. The greatest benefit to such a platform is its impact on resources – developer hours, strain on infrastructure, costs to the business – major reductions across the board. Question #2: Why SUSE CaaS Platform? SUSE CaaS Platform is an enterprise class container management solution. It does some pretty amazing things for automating the orchestration and management of your containerized applications and services with powerful Kubernetes capabilities, including: workload scheduling, service discovery and load balancing, Application scaling (up and down), non-disruptive rollout/rollback, health monitoring and management. 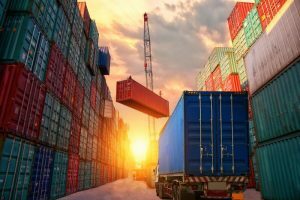 What makes SUSE CaaS Platform very special is that it’s a simple, targeted solution for customers who want to use containers to shorten time to market but not a lot of the non-essential bells and whistles offered by some other competing products. This way, they are not overloaded with functionality they don’t want or need – or the corresponding price tag. How simple is the solution? You can actually deploy it in 1 hour, yes, 0 to 60, or nothing to everything, in one single hour. Question #3: Why this Reference Architecture? This RA walks you through 3 deployment scenarios: want to test it out in a POC environment with minimal hardware? We can do that – in 60 minutes! Want to envision how you can do a Virtual to Physical system Migration? We have a scenario for that. Want to architect a full production deployment scenario, including integration with a software-defined storage solution, like SUSE Enterprise Storage – we walk you through that. We’ve been working together with Dell/EMC for over 2 decades and this reference architecture is just the latest manifestation of that collaboration. Two trusted names in enterprise compute, the best, simplest way to get your SUSE CaaS Platform off the ground. It’s truly a no brainer!